A day after being released on bail, Malayalam superstar Dileep was on Wednesday reinstated as President of the powerful body of film exhibitors. He was arrested for his alleged involvement in the kidnapping of an actress. He was given a conditional bail by executing a bond of Rs one lakh. This comes after the court recently extended his remand period till October 12. 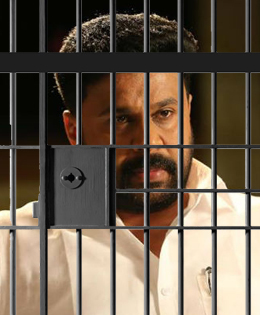 Dileep's bail plea was rejected by the court for five times after the prosecution argued that he might tamper evidence in the case. A day after being released on conditional bail, Malayalam actor Dileep was re-elected as the President of Film Exhibitors United Organisation of Kerala (FEUOK) on Wednesday. FEUOK is the alternative union of theatre owners that Dileep, an accused in the controversial actor abduction and assault case, floated in January. Dileep was removed from the post on July 11, just a day after he was arrested by the police and booked under various sections including gangrape. He was removed from the post on the same day from Association of Malayalam Movie Artistes (AMMA). Announcing his reinstatement in a press meet held in Kochi, Antony Perumbavoor, who replaced Dileep as the President in July said that he had only "stepped into Dileep's shoes in his absence." Displeased by the actor walking out on bail, the recently-formed Women in Cinema Collective, led by Dileep’s former wife and actress Manju Warrier, in their Facebook post said on Wednesday that even as the law was taking its course, they were fully behind their fellow actress, who underwent painful moments when she was abducted. “We will be with her all the more strongly in her pursuit for justice,” the post read.